What to do after overdosing? Whether you are a newbie or a pro in the game having some few tips on dosage is exceptionally vital. For a new user, the primary concern is what to take and the correct regimen to follow when using kratom while the typical user wants to have an idea of how much to take and what kind of dosage might change the experience. Well, that might be the range of the people who intend on finding the right dosages. So here are some things you need to know about dosage. Well, no one likes being called a beginner, but if you haven’t used it yet, you surely are one. So, all I want to do is remove you from this category and earn you a masters degree in kratom dosage. When it comes to using the first thing on your mind should be quality. There are a lot of fakes going around claiming they have the best stuff but doing your homework well will warrant you the best kratom has to offer. Getting to know trustworthy vendors helps you get the best products, and you also have the opportunity to ask questions and who knows maybe some dosage tips too. Conducting efficient research will undoubtedly give a clear idea on the usage of kratom. One other thing that will boost your knowledge on the same is consuming some and see how that works out for you. With this, you get accurate results as you feel the effects personally. As long as you monitor every intake carefully, then you will be sure to get the right amount of dosage that brings out the kinds of effects you desire. Surveys and researches are fantastic but remember different quantities work differently among people, so it’s better to find out yourself. So, now that we have agreed that you need to incorporate more strains it’s important to note a few things every time you decide to use a new twist. The best way to ingest kratom is when your stomach is empty preferably in the morning or two to three hours after taking some food. On your first day take two or three grams and then asses yourself after 30 minutes or so for any changes in the way you feel. If you feel like you can bump it up a bit, then add maybe a gram. Later on when you have obtained the preferred feeling, then cool off for three to four hours and then repeat the process once again. It’s a drug, so your intake during the first days will not be the same as after weeks of usage. Constant usage increases your tolerance levels, and the intensity of the effects changes too with time. At the beginning maybe 3 grams was enough to make you feel good but as you progress to take to the same level, you need around 5 grams. Tolerance is not a good thing as it translates to the need for more intakes to get results which were obtained quickly at the beginning. It is vital that you create a new dosage strategy one that will ensure you enjoy kratom other than becoming resistant to its effects. Firstly, you need to interchange the kratom strains and try using a new type from time to time. Rotating the pressures every day on a daily basis will ensure that you do not get tolerant to only one type. Strategizing your dosage so that it suits all the strains is vital. If you prefer the powder. There are some few things I would like to shed light on. If you weigh about 68kgs regardless of the gender starting with 1.5 grams may prove to be enough. If you manage to rotate the strains, your tolerance levels will be optimum, and a range of 1.5 grams will be able to give you the desired effect which prevents taking in substantial amounts. When using for the first time, there is stuff you need to know to maximize on the outcome. Take in as much water as you can help prevent headaches and unnecessary pains. 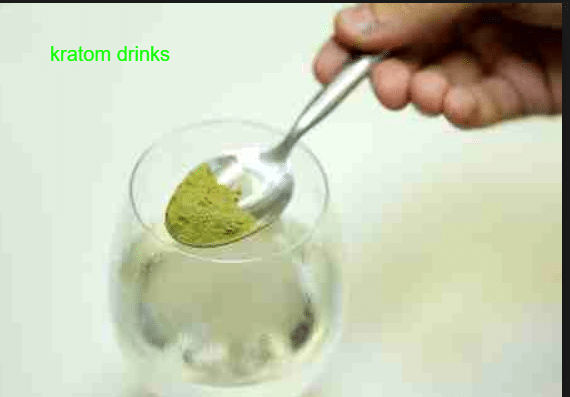 When using kratom more often than not, you will need a drink so be sure to get hydrated. As said earlier it is best to consume kratom when the stomach is empty, and later on, you can experiment when having food in the belly. Rotate the strains; as long as you follow the guidelines on the dosage, you can be sure to have the best experiences. Jot down your experiences with different varieties. Record the quantity and amount of time it took to have some changes in your body. This comes in handy when you want to identify what works best for you. For it to be effective dosing must be done correctly. To get the best out of kratom ingestion is a fundamental factor that should be keenly taken care of. In earlier days people used to consume kratom in the form of leaves nowadays things have changed with the development of the powder form. This raises the question of what is the correct dosage for powdered kratom. Firstly some things have to be factored in. The strain matters as some bear more effects than others. When you are out in the market for the best kratom products ensure you get a high-quality strain which gives maximum benefits. It may also be dependent on the potency of the strains due to the difference in concentration levels. Some may have more effect than others. Knowing this, the fact that it is essential to try it out your self is greatly enhanced. Always ensure that you do not overdose as it can prove to be catastrophic. Different quantities have different effects. 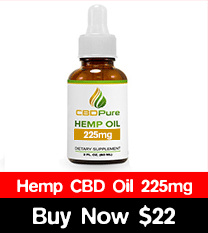 For 2 or 4 grams this helps you to achieve a light impact that does not last for more than 5 hours. For a common effect that acts as a stimulant then 4 to 6 grams might do the trick. Well, if you want to be bumped up and reach sedation levels then more than 8 grams will pretty much produce some powerful effects though it is not advisable to reach such levels. It is vital that any kratom dosage is carefully thought about as the effects of making the wrong choices on overdoses are great. For the ultimate precision it may be advisable to use an electronic weighing balance to get all those quantities right. A scale with 100grams variation will work too but the lesser the amounts, the better. Do not just use your eyes and assume that you will be right, remember overdosing comes with its side effects, so it is better you take much keenness when it comes to the volume you intend to consume. In case you do not have the luxury of the precision that comes with a weighing machine then the spoon will do just fine. Roughly a level teaspoon contains around 4.5 grams though this varies with the texture and packing of the powder. If you are at the beginner level for mood elevations and increased energy start with one teaspoon of kratom powder. Once in a while, you can upgrade to 2 grams. Keep in mind the more you use, the more tolerant you become so be wise and play the long-term game. It is no surprise that you will experience some form of symptoms like nausea and headaches in the first days. Once they subside, then you can have a clear picture on the dosage that works best for you. So, to achieve some results, there are some things you need to get right when it comes to the dosage. For energy and enhanced focus start with 3 to 6 grams a day though it will vary due to the different tolerance levels. For a dosage that seeks to reduce anxiety and pain then 7 to 9 grams will be ideal. The idea here is not to overdose but get the desired results so take care not to indulge much which also helps prevent the sedating effects. It has been said that with the right dosage of kratom one can easily withdraw from the use of opium. The trick here is to start taking kratom and then reduce the intake gradually. To kick you off start with about 7 or 8 grams this should be taken as 3 times in three days. On day four down up to 5 to 7 grams and on the fifth day to three or five grams and the sixth settle for only 2 grams. On day seven now you can stop using entirely. In most cases, it has been known to work exceptionally well. The benefits of kratom are incontestable; the only problem comes in when one decides to do much of it. Kratom bears some adverse effects though luckily they are not too severe or permanent. Most people first experience an air of dizziness if the right dosage is not taken. If one shows such signs, it is prudent to stop using kratom instantly. Consume as much water as humanly possible and then get some rest. After some time the symptoms will wear out, and you can regain your usual self back. If at all you will decide to start using again take much more precaution on the dosage. Begin small and progress slowly, there is no point of pushing it fast. Well, by now am sure you are aware that kratom exists in different forms. We have the powder, leaves and capsules coming in as the most preferred forms. It is no secret that getting the doses right is vital. To avoid the hustle that comes with weighing to get the right quantities most people prefer capsules as they come ready to use. A pill will be in the range of 500 to 600mg but not to worry as there are the ones that weigh up to one gram. It is essential that you consult your vendor on the quantities so that you get your dosage straight. For constant users who have been in the game for a long time one can take up to twelve capsules. If this is the case then at times it’s merely a good idea to do the extracts. Tablets offer more accuracy as it is done by a professional which makes it easy to take care of your quantities. As long as you are taking the correct doses, then you can be sure to always be on the safe side while enjoying the benefits that come with kratom. Remember there is no stupid question if you have any queries ensure you get clarifications. To sum up, coming up with the right dosage can be quite easy. If you find it difficult to get the doses right, then go for the capsules or get an expert to do the work for you. Hopefully, this article has given you some insight which will ensure that you take in the right amounts. The process should be fun, go all out and enjoy yourself as long as you do not end up hurting yourself. Have patience and keep calm. The more you use, the more you will get accustomed to kratom, and in the long term, you will get the results. Get kratom from highly recommended platforms and from the top sellers to make sure you get the quality stuff. Well, that’s it, have fun in your endeavors.